Another year has ticked over and 2019 will surely bring with it a slew of reissued anniversary albums, as is the fashion these days, and the new Tool album and until its release, THTH promises not to mention it again after this column. Considering the band’s first show of 2019 is early May, it would be a safe bet to suggest the album will drop in April at the latest. Maynard recently tweeted that vocals were completed months ago and the album is currently being mixed, which is good news. In all honesty, I wouldn’t be surprised if the album isn’t given a release date at all, I bet it just drops in stores one Friday, the only notification being a bunch of vague bills posted around major cities the Thursday night before the release. The style of which the band is releasing details would more than likely dictate this, and we’ll never know truly how far long the release process is. 10,000 Days packaging was rather elaborate, so if Tool are going to go elaborate again, that’ll take time to design and manufacture and I wouldn’t be surprised if the band have already finished mixing the album (despite what Maynard says) and are beginning the packaging and manufacturing process. 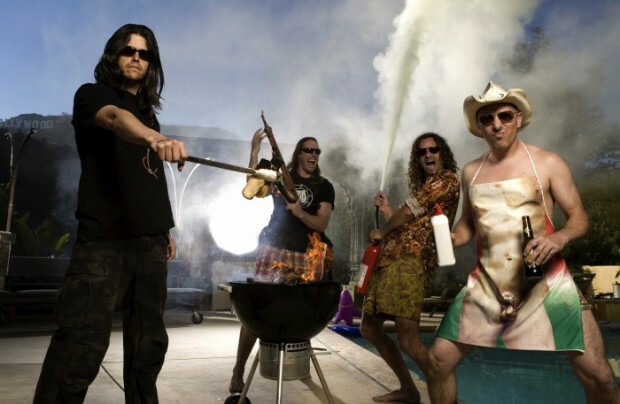 The only thing that can possibly stave off the fatigue of waiting for this album will be a surprise release which generally doesn’t do a band any favours, but Tool are probably the only band who could get away with it, and profit from it. Hecate Enthroned will release their new album Embrace Of The Godless Aeon on Friday January 25. Ballarat’s Blaze Music Festival featuring Hadal Maw, Dreadnaught, Whoretopsy, Frankenbok and many more will be held at Karova Lounge on Saturday January 26.